can't you just turn away from someone and use it? I don't think I've ever missed a slick shoes. Admittedly, this only works that good on Forest due to the amazing angles you can engage from. Every race has it's own starting area, however they are extremely close to their respective capitals from which you can travel to any other capital. That's how it worked in the beta at least. There are portals in each main city that can send you to each race's starting area. And the travel system is based on waypoints that you discover. Once you've discovered a waypoint you can instantly travel there at any time. For instance, I played a human in the betas, but leveled in the Norn area. It was extremely easy to get there and took maybe 2 minutes. Travel in this game blows every other MMO out of the water. Even Teldo runs away from players, I remember watching a clip of him against his mesmer friend and just talking about how the match up was impossible. 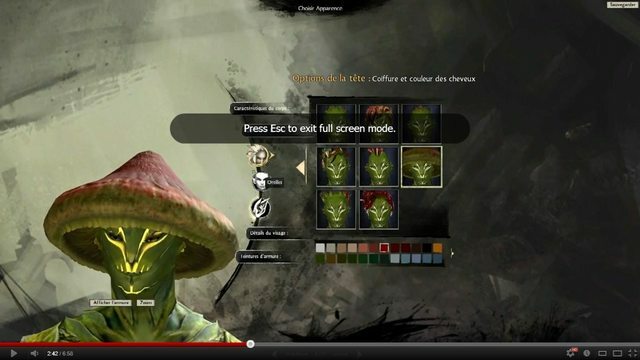 Hey guises, Asura and Sylvari will be playable in next beta. All characters will be deleted before BWE3 and release. All the gems that you buy during this BWE will carry over to after release. Awesome, is there an AJ guild around or a place to meet during BWE3? Most AJ people that I know are playing on Scavenger's Causeway (US). The original AJ server was Sorrow's Furnace but some other websites also chose that one and it was one of the most heavily populated servers, which made playing on a then-unoptimized full server a bit difficult. So yeah everyone has moved to Scavenger's.